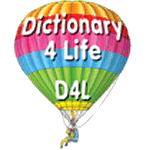 In its first year, 2007-8, the D4L was given to some 45000 10 year old children as an aid to personal literacy and as a promotion to the children, their teachers, their families and their communities, of Rotarys work. There have been many column inches in local newspapers about the presentations to children in the 29 RIBI districts supporting the project. RI provided facilities at the Los Angeles RI Convention to promote the D4L to Rotarians from across the world. Samples of the D4L were widely distributed  and follow up interest was expressed. At the end of the project's fifth year  2011-2012 some 400,000 D4L dictionaries have been distributed by over 500 Rotary clubs from all 29 RIBI Rotary Districts and many overseas countries including, Jamaica, Mongolia, Bangladesh, Pakistan, Zambia, Australia, Namibia, South Africa (where is has been selected as the preferred dictionary by the RI ROTA ad hoc committee), Uganda, Kenya, Zimbabwe, Tanzania, India, Seychelles, Sri Lanka, Sweden, Canada. The overseas supplies are funded by UK and overseas clubs and include both the Standard and the International (LCDW) editions. In LA some Interactors from Oregon saw the book and subsequently raised funds to supply copies to Uganda. 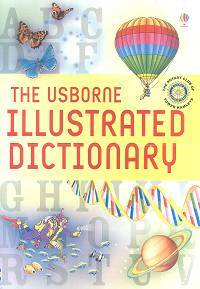 The local Rotary club did the deal and the books were airfreighted to a Rotaractor in Uganda for distribution. A real Family of Rotary achievement!